Minute two: Connect to the person to whom you want to give. It can definitely be yourself. Visualize yourself or him or her in a brilliant clear scene. Minute three: Connect to your heart and visualize a flower opening to receive. Connect your person (or yourself as other) to the flower in your heart. Minute five: Rest in this place allowing inspiration to arise. Continue to breathe, open and connect in the heart. Complete your practice with a commitment to trust whatever arises will be perfect for this person. Write down what you discover. Bow in generosity. You will work directly with Gayle Colman to create a custom coaching arrangment best suited to your needs. Meetings are via phone, video cam, or in person. You will work with our experts in a comprehensive approach to financial planning services that support a mind, body and soul approach to financial integrity. Our MoneyMoves® products are designed to help you bring the concepts of Somatic Finance® into your own life. Listen, are you breathing just a little and calling it a life? Somatic Finance by Gayle Colman of Colman Knight, Integral Wealth Advisory Services. Somatic Finance is an embodied approach to personal finances. 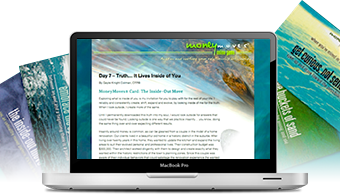 It’s a methodology and practice for connecting the brilliance of the mind, the integrity of one’s center, and the compassion of the heart, in order to create a balanced and clear relationship with finances and our authentic self. Our goal is to help individuals integrate Somatic Finance principles into their own lives through classes, events, coaching, articles, exercises, and our flagship MoneyMoves resources. Please fill out the inquiry form and we’ll get back to you soon. Gayle Colman © 2019. All Rights Reserved.